Okay, this recipe is a little more advanced than the ones I’ve already shared. 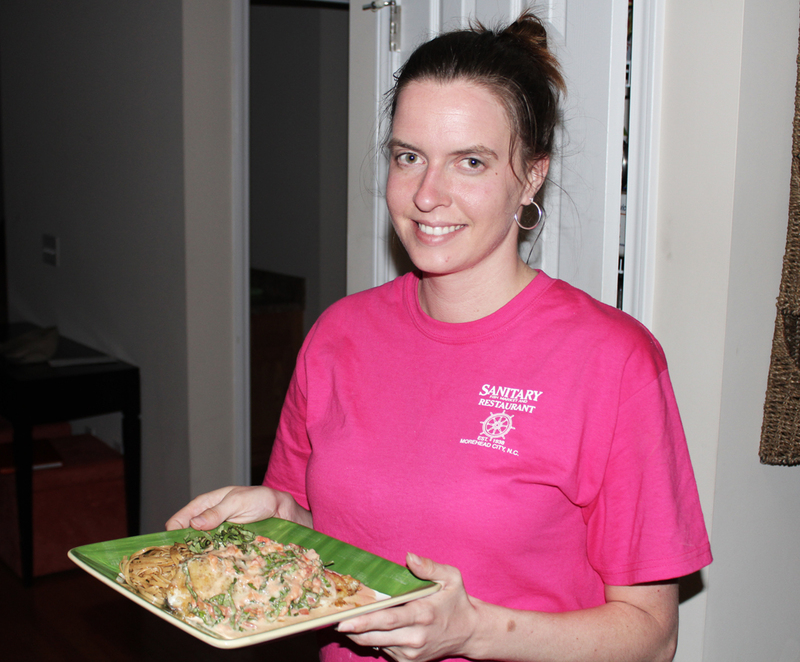 Once you learn how to do it though, it is actually a very easy dish to prepare. And man oh man is this sauce delicious! It is my absolute favorite sauce to eat with my fish. When Nate first made this sauce when we were dating years and years ago, we named it “Yum Yum Sauce”. Anytime I wanted this dish, I’d just ask him to make Yum Yum Sauce and he’d know exactly what I was talking about (And he refers to it as Yum Yum Sauce!). My mother and granny don’t particularly like seafood. 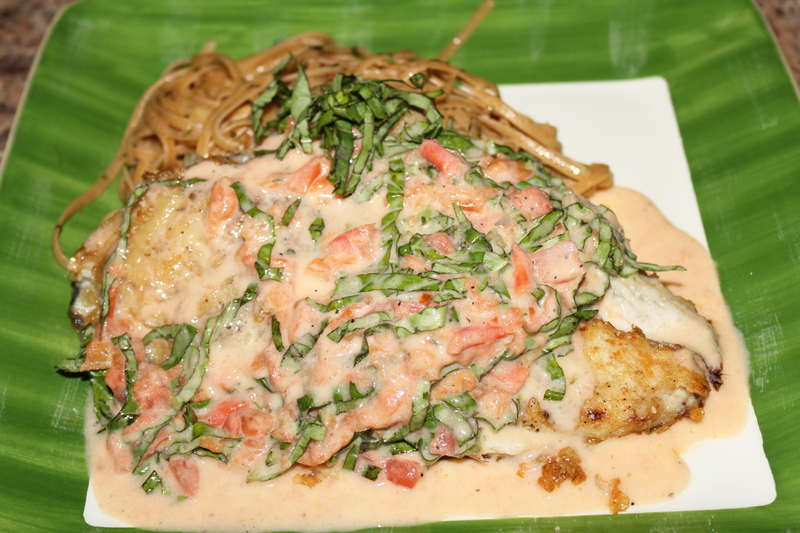 But when Nate made this dish for them, they cleaned their plates! They always say that this is the only sauce that can convince them to eat fish. Remember in my previous post I was talking about my bucket list? One of the items was that I wanted to catch a fish and eat it too. So this is the final piece before I could check this off the list! Because I was cooking this dish myself for the first time, Nate was allowed to be in the kitchen with me and instruct me on what to do. And since my hands were full, guess who got to play photographer? ROLE REVERSAL! 1. 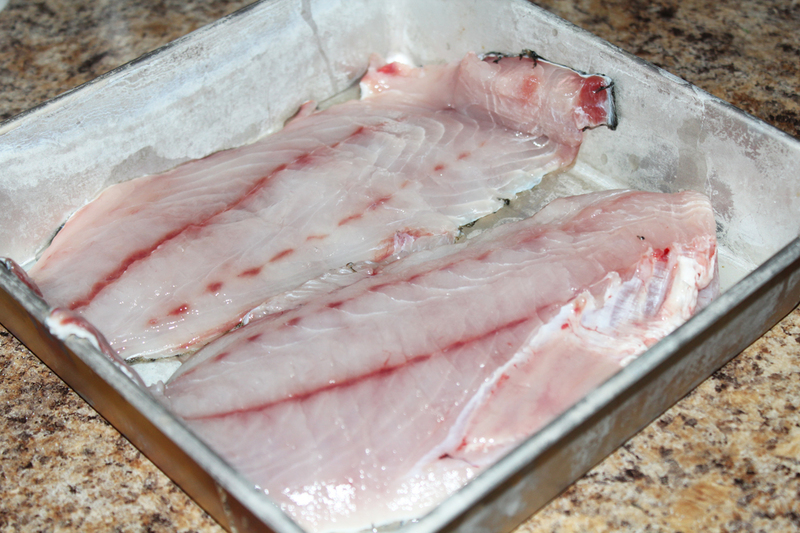 Place fish in a shallow dish, sprinkle with salt and pepper, and add some corn starch over the top. 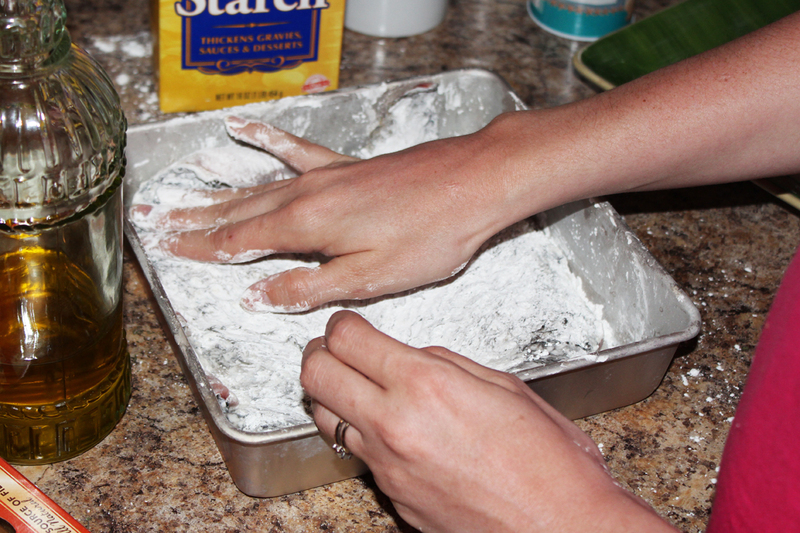 Rub the corn starch onto the fillets until they are covered…this is called dredging. 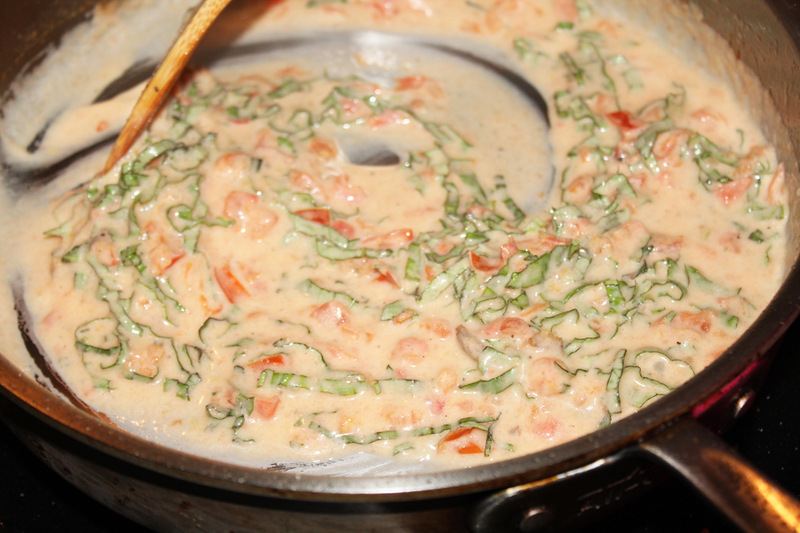 Dredging is a method used to provide a barrier to what you are cooking from sticking directly to the pan, add a golden color, prevent what you are cooking from becoming tough on the inside, and depending what you dredge with, it will thicken your sauce. 2. In a pan or skillet large enough to accommodate your fish fillets, heat olive oil (add enough to make an even layer on the bottom of the pan) medium to medium high heat. 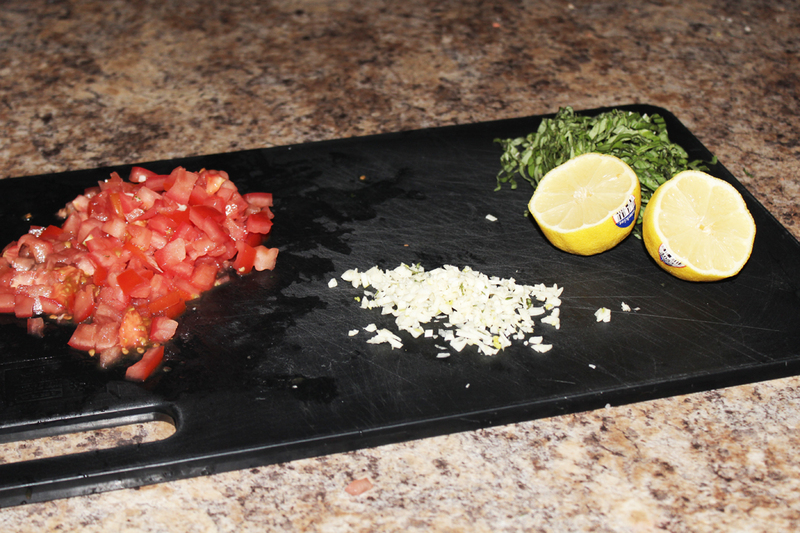 Add each fillet to the pan and let cook on each side. How to know when to flip? 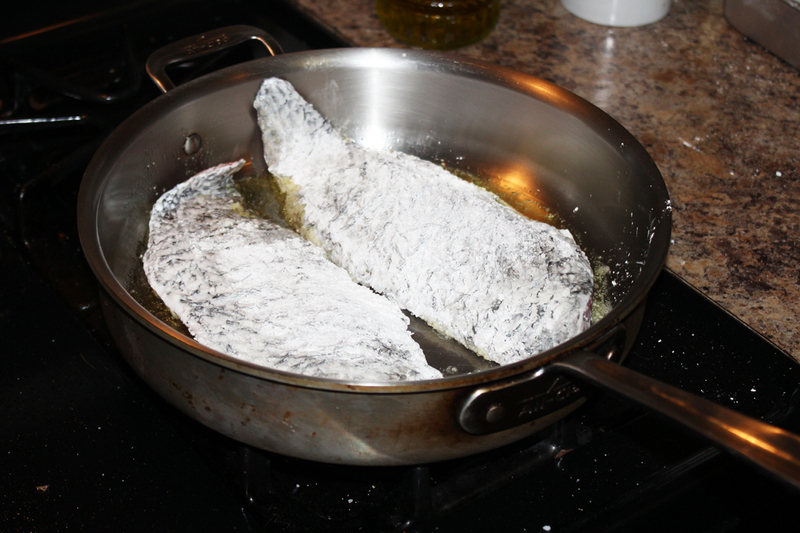 The fillets will seem to have stuck to the bottom of the pan, but when each side is done, the fish will easily lift from the pan. Also, if you give the pan a gentle shake, the fillet should move freely instead of being stuck. Then give the underside a sneak peak to see if the color is golden. 3. 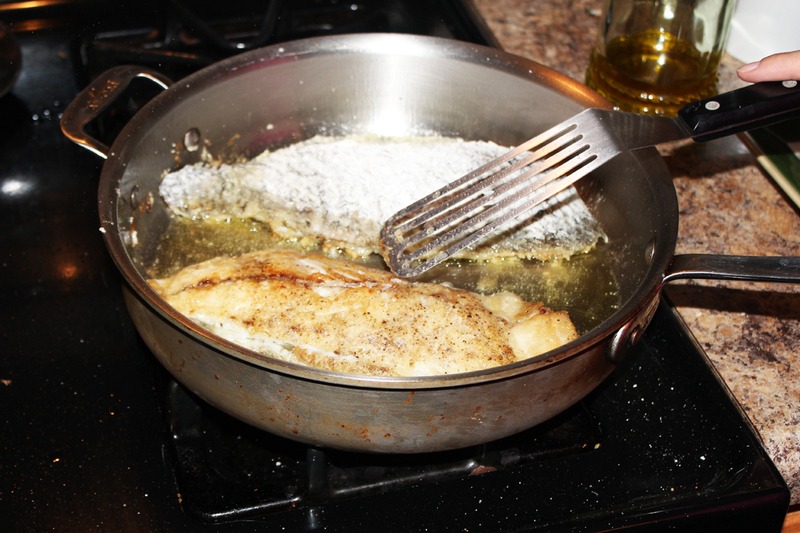 Once the fish have finished cooking, remove to a plate and set aside. 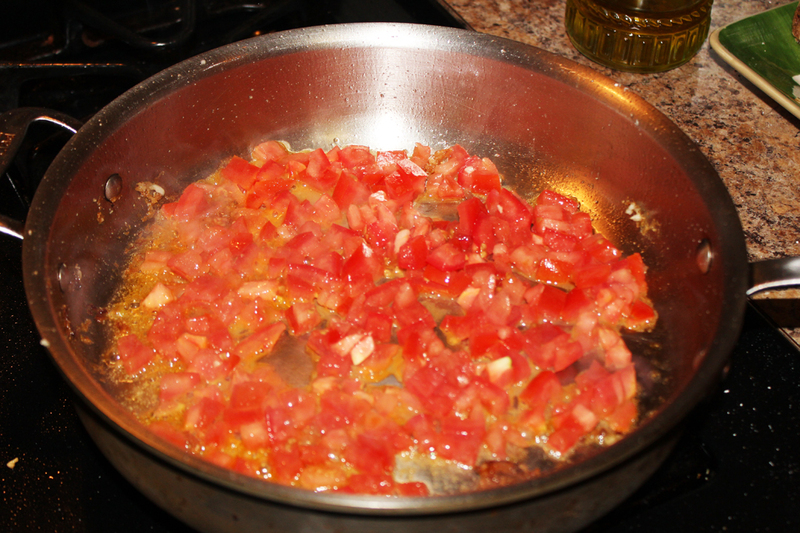 Using the same pan and leaving the juices in there, add the garlic. Let garlic sauté until its aromatic and starting to become a golden color (not burnt!). 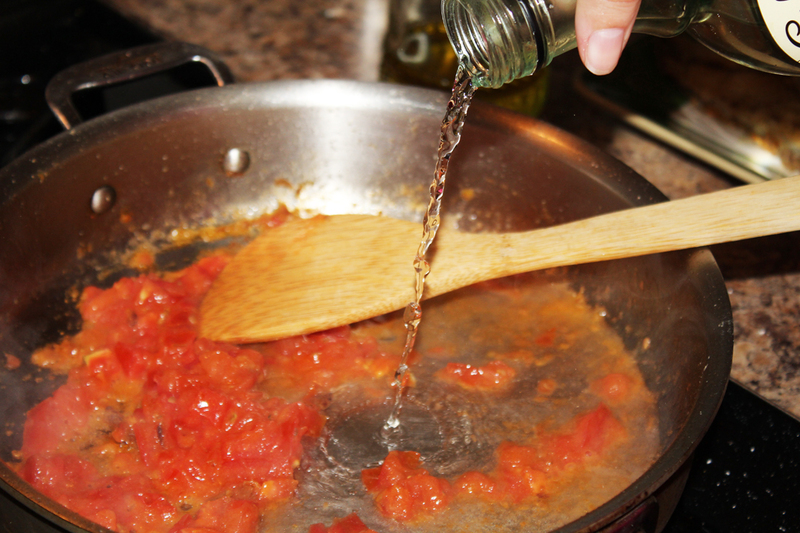 Then add your tomatoes and add juice from half a lemon. Let than simmer for a few minutes, then add your wine. Stir together and simmer again for a couple minutes. 4. Add the cream and stir to combine. Reduce the sauce by half…WAIT what does that mean anyway? 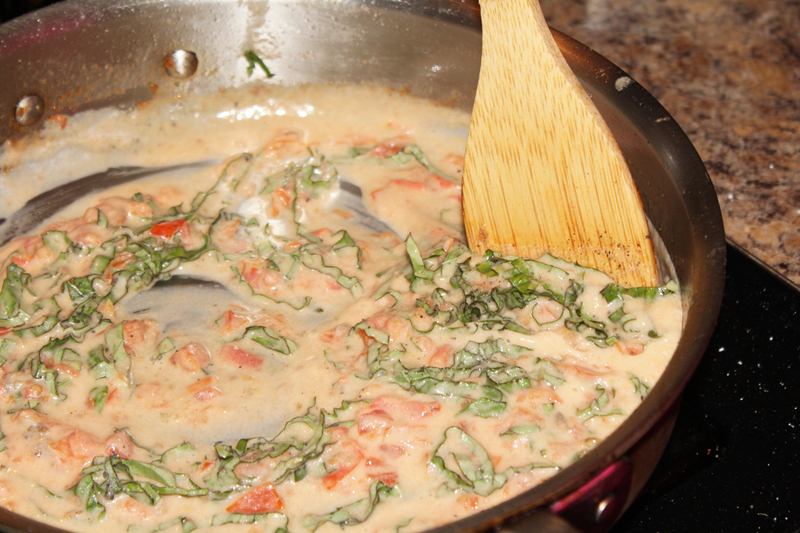 When it comes to THIS sauce, here is what you are looking for: you should be able to draw a line down the middle with your spoon, and the line will stay there and not fill in with sauce. 5. 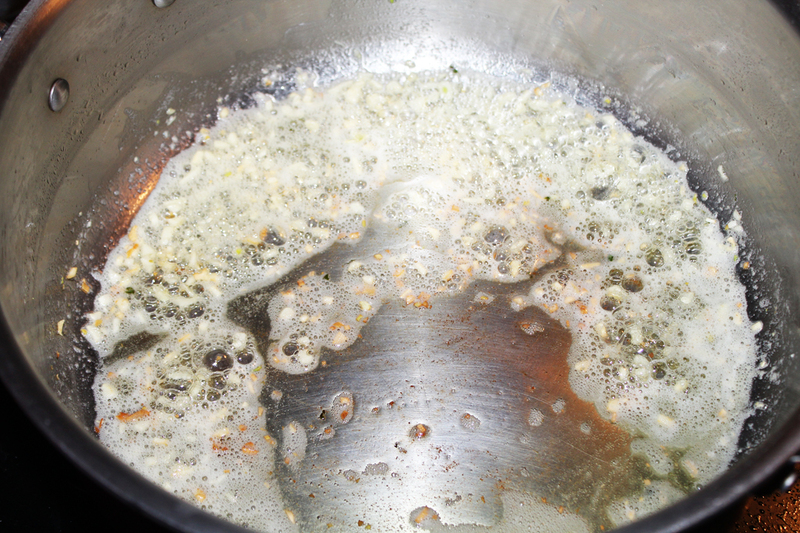 Gradually add the butter 1 TABLESPOON AT A TIME. 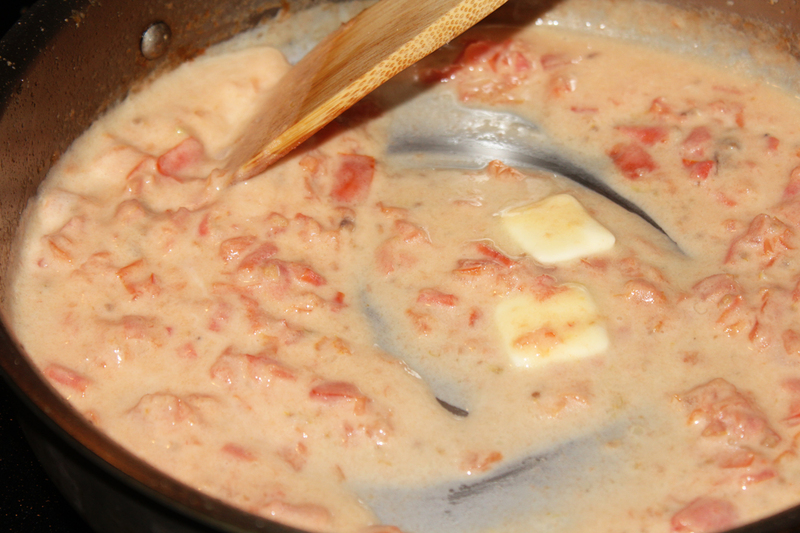 You want to stir in each tablespoon of butter until the sauce becomes thick, shiny, and velvety looking. 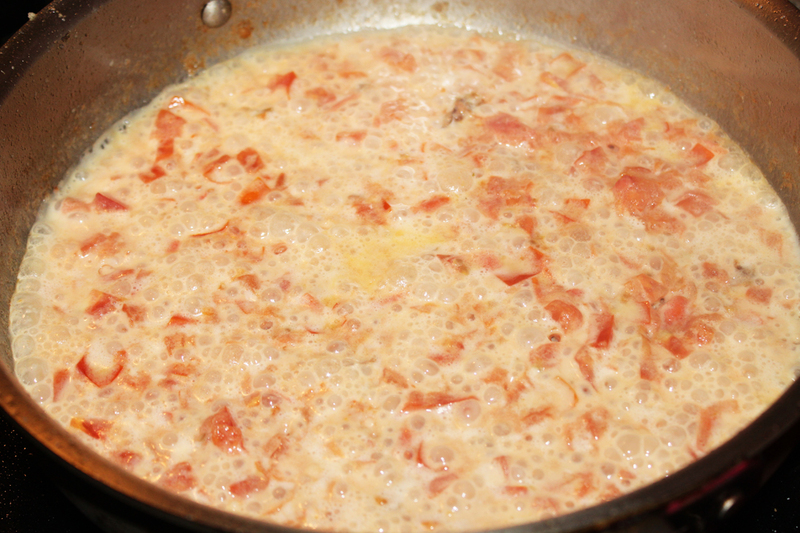 The trick here is to keep the sauce heated and hot, but do NOT let it boil. 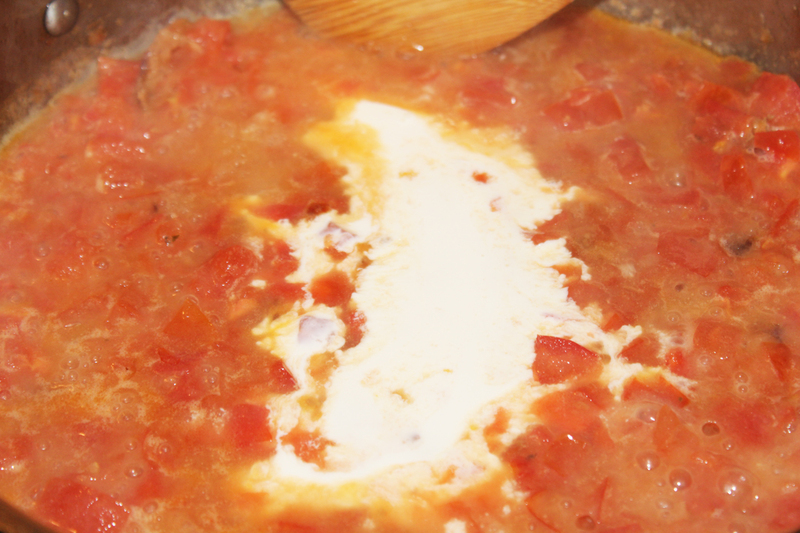 Boiling the sauce will break your sauce and that’s just embarrassing. Guess what? 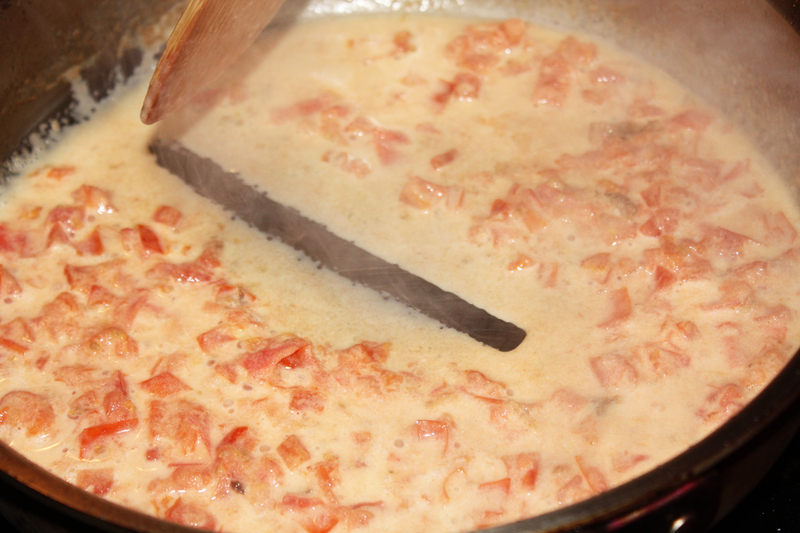 Hate to burst your bubble, but you just made a fancy-schmancy beurre blanc! 6. 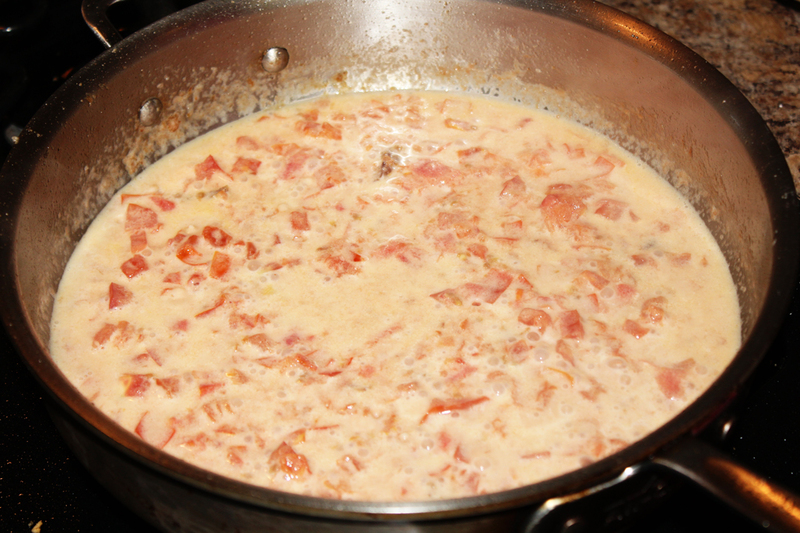 Give the sauce a little taste, add another tablespoon of butter if needed and adjust the salt and pepper (The sauce should taste rich and buttery, but the butter shouldn’t over power the rest of the ingredients). 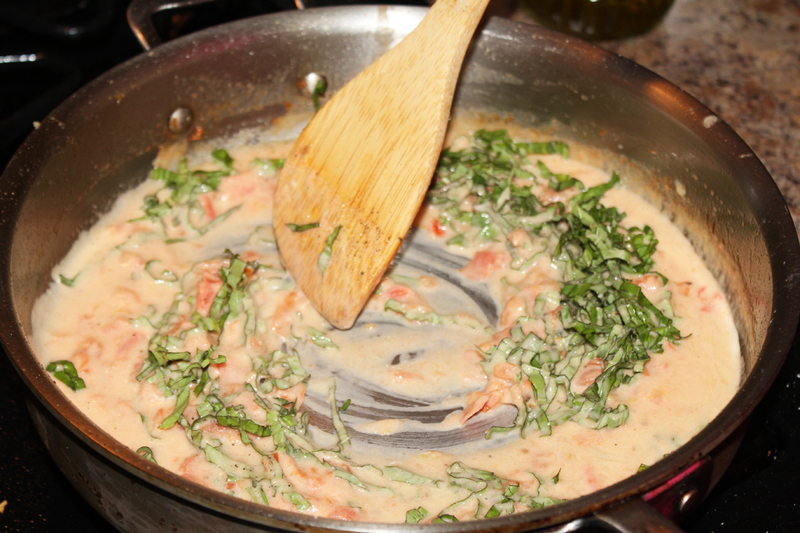 Stir in the basil. 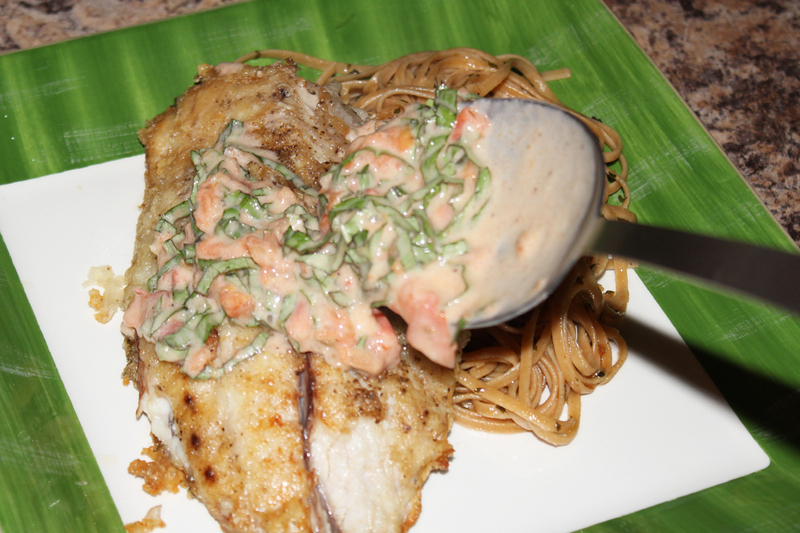 Pour the yum yum sauce over the fish. Wah la! You’re done. Okay, this looks pretty darn yum yum! 🙂 Fantastic. We're having fish tomorrow night for supper! Great recipe – thanks for sharing! Certainly much better looking than the yum-yum sauce we had years ago. This looks like great stuff. Thanks! I can't believe I actually made it myself. Always thought it seemed so difficult. But it really wasn't. Just have to know what you are looking for! Right back atcha! Wait, who/what is Tumbleweed Contessa? Had no idea they were sharing my recipes, I must check them out :). Let me know if you give it a try and tell me what you think! HAha oh man. What was your yum yum sauce? Do tell!